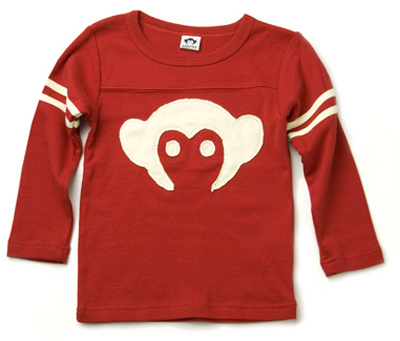 The Appaman classic long-sleeved, football jersey T in chili red. Contrasting monkey cut-out design on chest. Kids LOVE this shirt. (Looks equally great on girls!) Sorry. Sold out.